Tin trained at the Gloucestershire College of Art and the Akademie den Bildenden Kunst in Vienna under Rudolph Hausner. Initially a highly successful equestrian artist, painting in oils, she later moved onto painting landscape and figurative works. After discovering her allergy to paint. 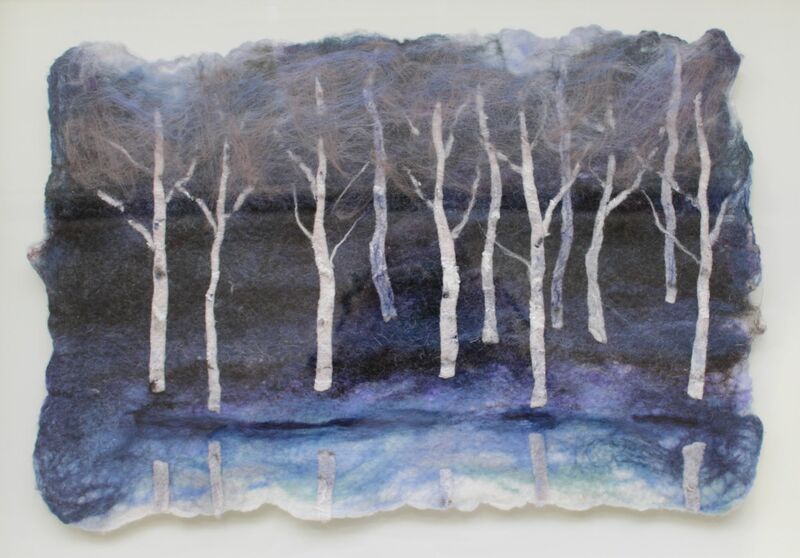 Tin has recently turned to creating landscapes with coloured wools, turning then into felt textile pieces. She ‘mixes’ her colours by layering coloured wools over each other, and then felts them into a textile. Additional felt and stitching can be overlaid for extra texture and effect. There is no paint used in these landscapes, but they are highly textured like her oils. 1992 Gallery 291, Greenville, South Carolina, USA.